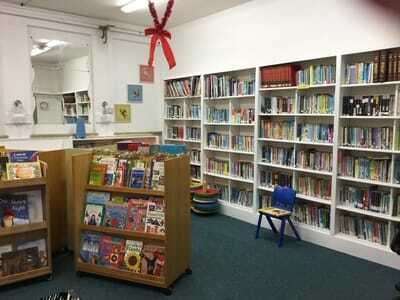 Our Lady of Mercy School Library! 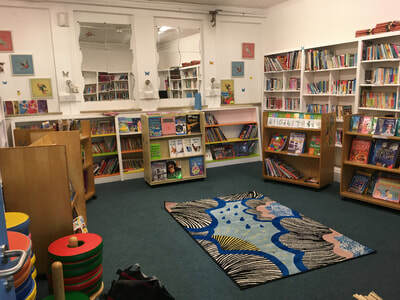 Thanks to the energy and decication of our wonderful Library Committee we are delighted to be up and running, providing a warm and welcoming space for all kinds of readers. 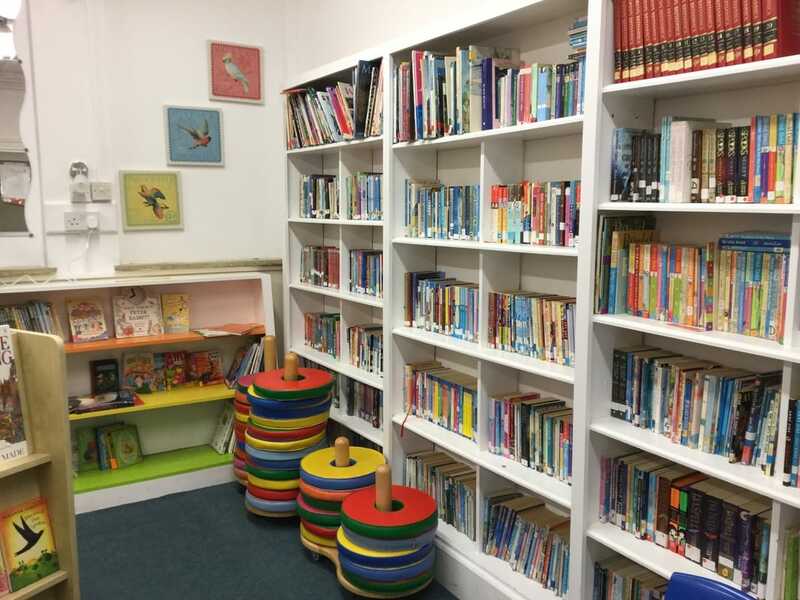 The choice of books available in the library is fantastic and the shelves are always kept well-stocked with the financial support from the Parents Association ad regular book donations. We are truly blessed to have such a wonderful facility available to all in our school. Junior Infants love to come to the library to listen to stories and become familiar with the library environment and welcoming space. Volunteer parents act as "librarians" each morning helping the girls to choose age-appropriate reading and checking the books in and out. 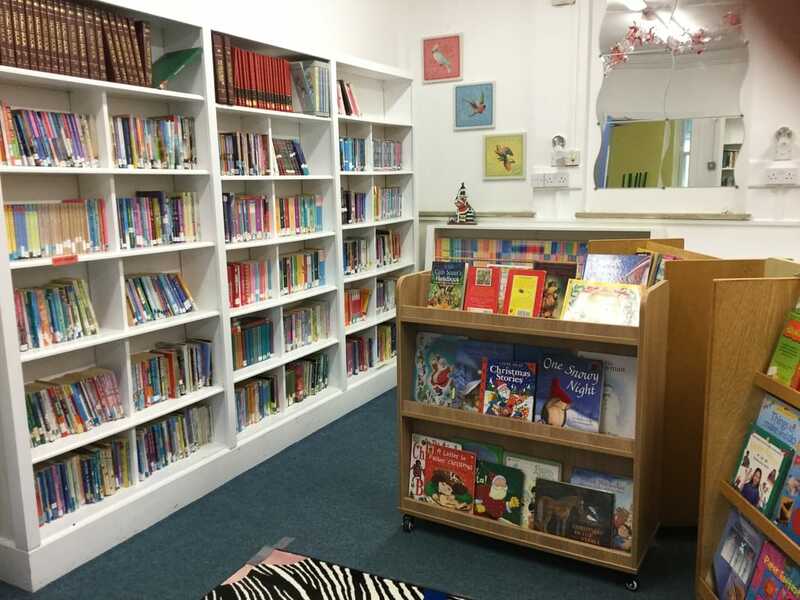 The work of the library could not be done without the time given so freely by parents to support it and we thank each and every one of you for that. If you have an hour to give once a month and would like to be involved with your daughter's library time, we would love to have you on board. 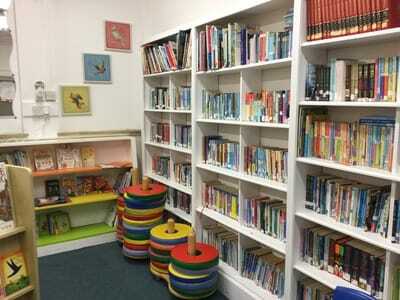 To volunteer for library time you must be Garda vetted. 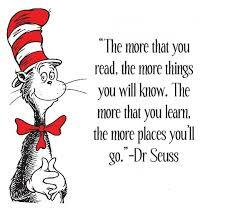 We would be delighted to have you join our team of librarians!! Sixth Class girls were delighted to be invited to meet author and illustrator Peter Brown in Dubray's Blackrock on September 21st. Peter titles include New York Times bestsellers like The Wild Robot, The Curious Garden, Children Make Terrible Pets and Mr. Tiger Goes Wild .He is currently touring Ireland and the UK promoting both of his Wild Robot books - The Wild Robot and The Wild Robot Escapes. The girls thoroughly enjoyed his presentation which they found very interesting and informative. Some of the girls have already read the two books. Thank You to Lorraine in Dubray's for including us! 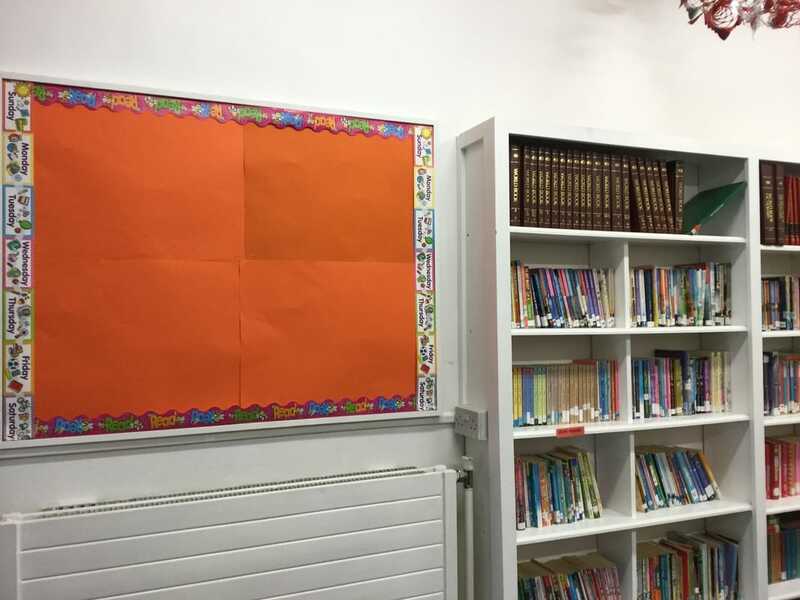 A New Senior Librarian in Blackrock! 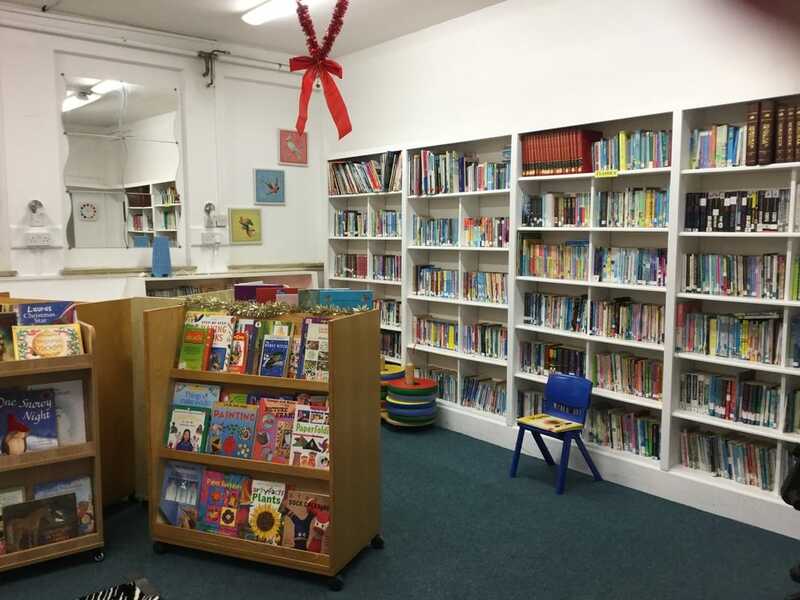 Aisling Donnelly has been appointed Senior Librarian in our local Library - Blackrock. We are so very lucky to have Aisling on board and we are all so excited by her interest and enthusiasm. She is passionate about all types of books. She is especially keen on getting children reading and has already visited the school to talk to the girls about resources in their local libraries. Bríd, who also works in Blackrock library came as well but she had to leave early to get back to the library. She spoke to all classes from 1st to 6th and their was a wonderful buzz about the school during her visit. The girls were captured by her lively delivery and learned so much about using this wonderful free service. She in turn complimented the girls on their lovely manners and their mature questions. She was very impressed with our school library and we felt very proud of it! Margaret Anne Suggs has illustrated many children's books including Kathleen Watkin's Pigín of Howth.. She arrived at the school on Monday Oct. 8th armed with books and materials for the girls to use during her workshop. The girls were delighted that she shared some of her own copy books where she does her sketching. It was a hands on experience and each girl got to make her own "Pigín" to bring home. 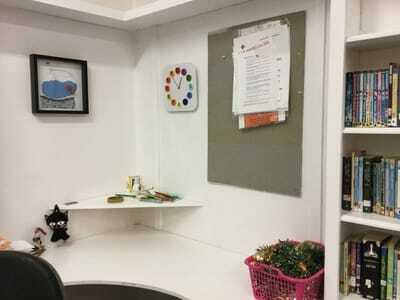 Margaret currently has an exhibition in Blackrock Library so please if you're passing drop in and have a look. Also, don't forget to say "hello" to Aisling or Bríd if you see them there! On Friday 16th of November, 6th class walked to Stillorgan library to attend a talk given by Jon Chase. Jon has written a book called the 'Science of Harry Potter' and he spoke to the 6th class girls about several science experiments that would have similarities to magical things in Harry Potter. For example, he spoke about the flying car in the second book and how in real life we actually have some flying cars. Jon spoke about the snitch and how we could get something to float/fly in real life. He showed us a ball that was a similar shape and size to a snitch and used a hair dryer to make it levitate! He also spoke about invisibility and he showed us a test tube in water and then added some oil and the test tube seemed to vanish! The girls had a ball and learnt so much! Thank you so much to Jon and Stillorgan library for inviting us for the talk. Afterwards, 5th class attended this wonderful talk given by Jon Chase. The girls had a brilliant afternoon and our Harry Potter fans were super impressed with his tricks!! A huge thank you to Jon, the library and the parents who joined us on our walk to and from the school.